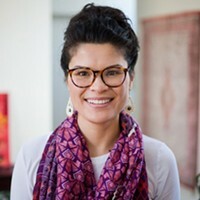 Last week we profiled one of the librarians in the program. This week, we talk with one of the attorneys doling out the free advice. During his time in Bend, attorney David Rosen has gone from working at the Deschutes Brewery to working on the Deschutes River to providing free legal advice to anyone who needs it. That most recent endeavor stems from Rosen's involvement with the Lawyer in the Library program, offering anyone who signs up a free consultation with an attorney on Wednesday evenings at the Deschutes Public Library downtown. The weekly program—the first of its kind in Oregon—has assisted roughly 90 Central Oregonians since its inception three months ago. "There's a good number of folks in the community who need an attorney, who don't qualify for legal aid and can't afford an attorney, and I don't think they're being served," says Rosen. When Rosen moved to Bend, in 1997, he landed a job washing dishes at the Deschutes Brewery Public House, working his way up to line cook and baker. He later took a job with the Bureau of Land Management office in Prineville. "I knew I wanted to go to Oregon," says the New Jersey native. He'd originally intended to move to Government Camp so he could ski at Mt. Hood. But while traveling in Costa Rica, he met a guy who told him he should move to Bend instead. "I'm a second-time transplant," Rosen says. He left Bend in 1999 and returned in 2010, bringing his family with him. 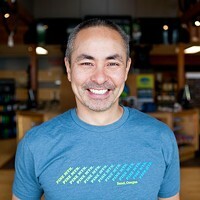 Between moves to Bend, he earned his bachelor's in economics from the University of Pennsylvania and graduated from law school at the University of Maryland. He also married his wife, Lisa. They now have two daughters, ages 12 and 13. The idea for the Lawyer in the Library program came out of Bend's seven-member Access to Justice Committee, which Rosen chairs. He and fellow member Jeff Hall, trial court administrator for the Deschutes County Circuit Court, helped form the committee about two years ago. Its mission is to provide better access to legal assistance for anyone who needs it. Rosen explains that the library program has three prongs: offering people improved access to attorneys, better access to court documents and more access to information. Rosen, 42, was one of the first attorneys to volunteer for the program, one of seven lawyers who have volunteered their time so far. "We're really grateful to have them, but we need more attorneys, and that's what I'm working on," Rosen says. He works with fellow volunteer Cara Ponzini, a family law attorney who also serves on the committee, to staff and train volunteer lawyers. In March, Rosen established his own law practice, High Desert Law, working on personal injury cases. "So I'm pretty used to talking to people for free," he jokes. "I love living here and I feel really fortunate to live here. We have a fantastic community, but our community has needs. It's great if we all can contribute back into the community." Rosen is proud of what the Lawyer in the Library program has accomplished so far. "I've been impressed by the folks who've been coming in. They've been organized, know what they want and ask pointed questions. And there are others who want to know how they get started and what they need to do," Rosen says. "And there's a good number of attorneys in our community who are willing to help out and take cases at a lower rate. Our goal is to put these two groups together. I think we're off to a good start, but we have more work to do. It's definitely a group effort. I think this works because of all the community partnerships, and that's a testimony to this community, finding out how to provide help." A photograph such as this, hangs in David Rosen's law office, a gift from the photographer. When he isn't lawyering, Rosen revels in the activities that bring many people to Central Oregon: snowboarding and paddle boarding, hanging out at local lakes or just staying in town and enjoying what Bend has to offer. 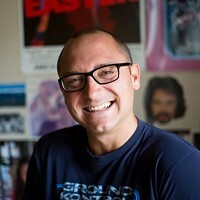 For the past several years, he's also played guitar in a trio, jamming on original songs as well as rock and country covers. 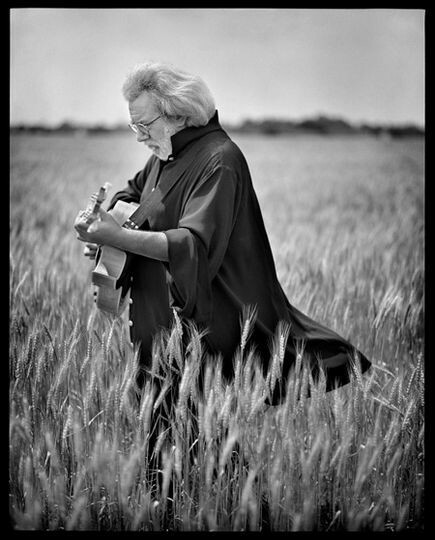 Hanging in his downtown office is a large photograph, originally published in Rolling Stone, of Jerry Garcia standing with his guitar in a tall wheat field—a gift from the photographer, who's a personal friend. Adding to his flexible repertoire, Rosen has also taught yoga on various occasions. Most recently he and some friends started a practice that specializes in a distinct method of breathing and relaxation. For more information about the Lawyer in the Library program, contact Rosen at 541-306-6553, or call Nate Pedersen at the Deschutes Public Library, 541-617-7092.